Below you can view all the homes for sale in the Bella Terra At Southern Highlands subdivision located in Las Vegas Nevada. Listings in Bella Terra At Southern Highlands are updated daily from data we receive from the Las Vegas multiple listing service. To learn more about any of these homes or to receive custom notifications when a new property is listed for sale in Bella Terra At Southern Highlands, give us a call at 702-323-5933. Home is close to shopping and just minutes away from the new Raiders Stadium The only thing missing is you! MLS#2089856. Las Vegas Shorewood Real Estat. Patio in back with putting green. WOW! ! MLS#2087649. Desert Sky Realty. 2 car garage and lots of storage. Move in ready! MLS#2082031. BHHS Nevada Properties. Bring your buyers, they won't be disappointed! This one will go fast! ! 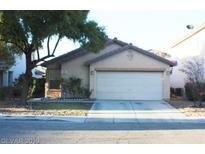 MLS#2079366. Southern Highlands Realty Corp.
Come See This Beauty You Won'T Regret It! MLS#2079761. United Realty Group. Low Maintenance Desert Landscaping In Backyard Is Perfect For Enjoying Summer Evenings! Welcome Home!! ! MLS#2079770. ERA Brokers Consolidated. Great comm w/parks, basketball & tennis courts. MLS#2075139. GK Properties. Enclosed backyard with cover patio and BBQ stub great for outdoor entertaining. MLS#2074934. Compass Realty & Management, L.
Excellent Location For This Freshly Renovated 2 Story Home In The South Valley , Just Off I-15 & Cactus, Features New Paint,New Granite Counter Tops , Stainless Steel Appliances ,New Sink & Disposal,Full Length Covered Patio With A Food Preparing Counter In The Back Yard, Nice Corner Lot With Lots Of Privacy, All These Make It A Very Desirable Property !! ! MLS#2073115. 1st Priority Realty, LLC. Enclosed backyard with patio and plenty of room for outdoor entertaining. MLS#2072711. Love Local Real Estate. Huge walk in pantry, large kitchen. Shopping, restaurants, & fire station nearby. MLS#2070090. Platinum R.E. Professionals. Convenient to the Strip, airport, shopping, restaurants, schools and more! MLS#2056374. Signature Real Estate Group. Private back yard, patio - perfect Eastern exposure. Striking Mountain Views from Loft. MLS#2055198. All Vegas Valley Realty.